As an employer you now have a duty to eliminate or minimise hazards to your employees. Moving equipment and vehicles in manufacturing and storage sites can be fatal if not used correctly or safely. The most common examples being forklifts, delivery trucks and other light vehicles. A person conducting a business or undertaking has a duty to ensure, so far as reasonably practicable, workers and others are not exposed to health & safety risks arising from the business or undertaking. This duty includes implementing control measures to prevent people being injured by moving vehicle's at the workplace. 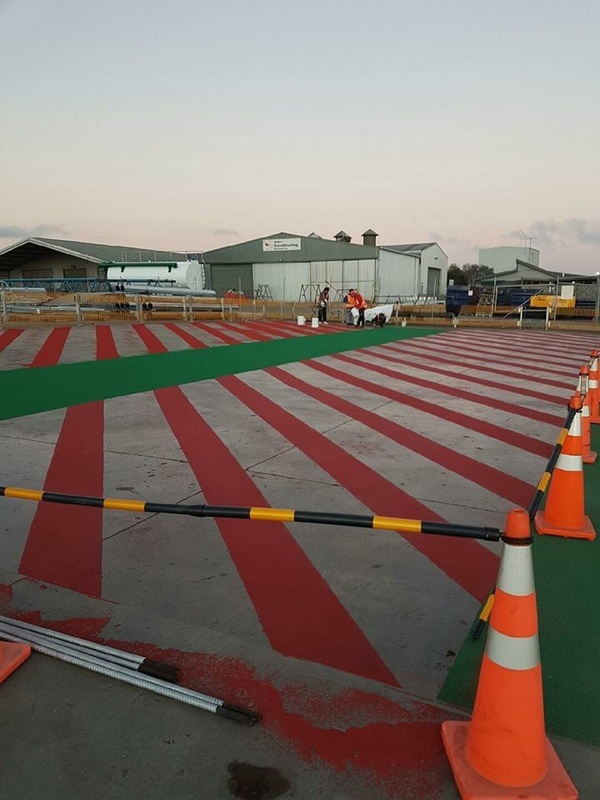 The Rockbind range of hazard and demarcation solutions are being applied nationally by our team of Approved Applicators. Download our Hazard and Demarcation Brochure for more information. 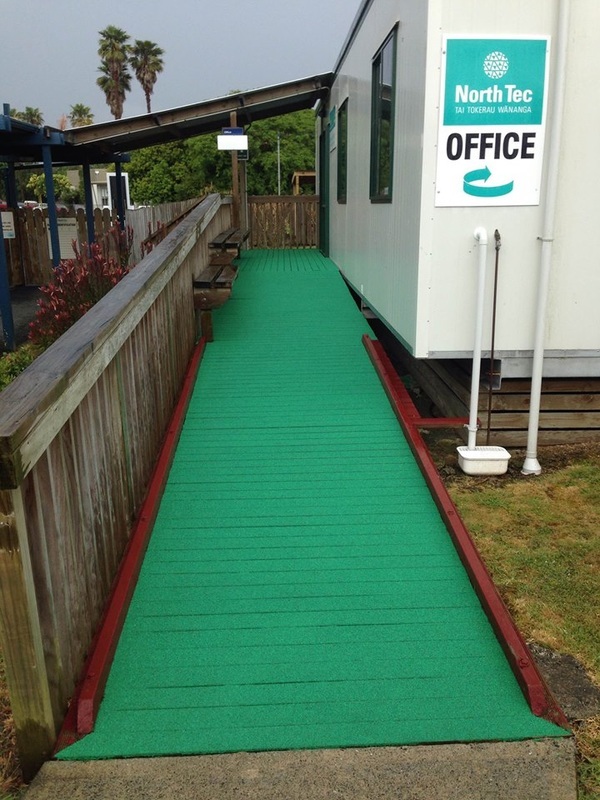 Truck loading areas, forklift loading bays & car park ramps using Rockbind RBD. 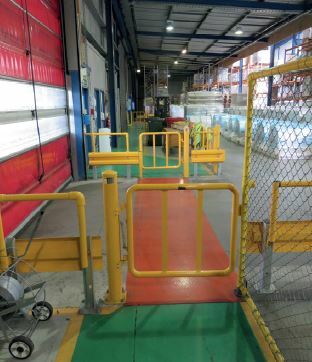 Pedestrian warehouse internal and external safe and hazard site demarcation. Ramps - Schools and factory wooden steps and ramp areas.